Large appliances are not allowed to be disposed of through regular curbside pick-ups. Use one of the options below to dispose of your large appliances. You can drop off large appliances at the Eastern Regional Landfill. The disposal cost for appliances is $10.75 per item. 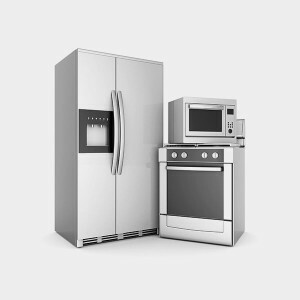 Large appliances are made from dangerous materials, such as freon, chlorofluorocarbons and mercury. Never dump them illegally because they can leach toxic chemicals into the environment. PG&E is a utility company that offers an online rebate finder tool for large appliances. They help you find energy-saving products by comparing models; many appliances have mail-in rebates. Find out more. Large appliances can be hauled away for free when you purchase a qualifying replacement product that’s delivered by Geek Squad® or Best Buy Home Delivery. Additional major appliances or TVs can be hauled away for $20 each, such as dishwashers, dryers, freezer and washers. Find out more. You can find what local rebates are available for different appliances by using Home Depot’s Rebate Finder tool. They also offer delivery and removal of large appliances; this service is free after spending $396 or more on one of their large appliances. Sears was the first broad line retailer to join the EPA’s Responsible Appliance Disposal (RAD) program. Sears hauls away and disposes of refrigerators, freezers, AC units and dehumidifiers when customers purchase energy efficient products. Find out more. It literally pays to switch from an old appliance to a newer one that’s more energy efficient. ENERGY STAR has a list of special offers and rebates from partners; you may even be eligible for tax breaks. Home Depot developed an easy-to-use tool that you can use to calculate your home’s energy use. This tool can also help you take steps to reducing your energy bill and help the environment. Find out more.